'The soup kitchen' 1958 was painted while Brett Whiteley, then 19 years old, was working for the ad agency Lintas. 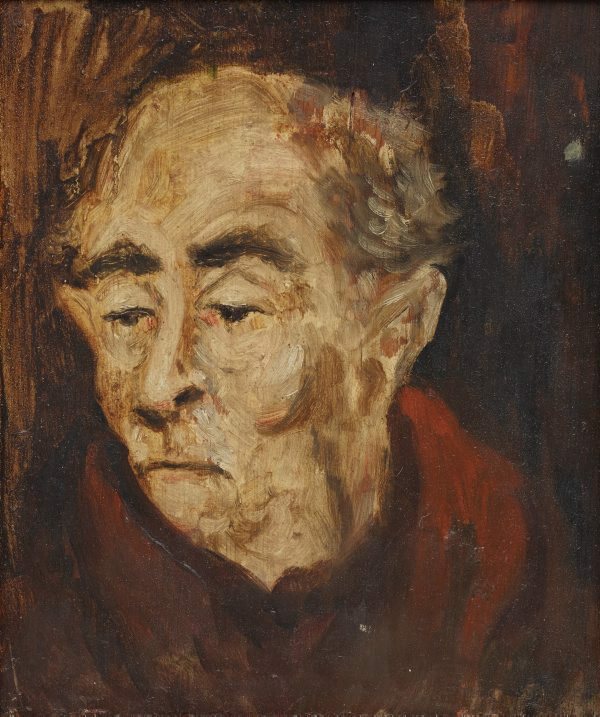 The young artist made frequent visits to the homeless shelter at the City Night Refuge and Soup Kitchen, located in Kent Street behind Sydney Town Hall, making quick sketches as well as a number of oil studies of men as they sat in the dining room. 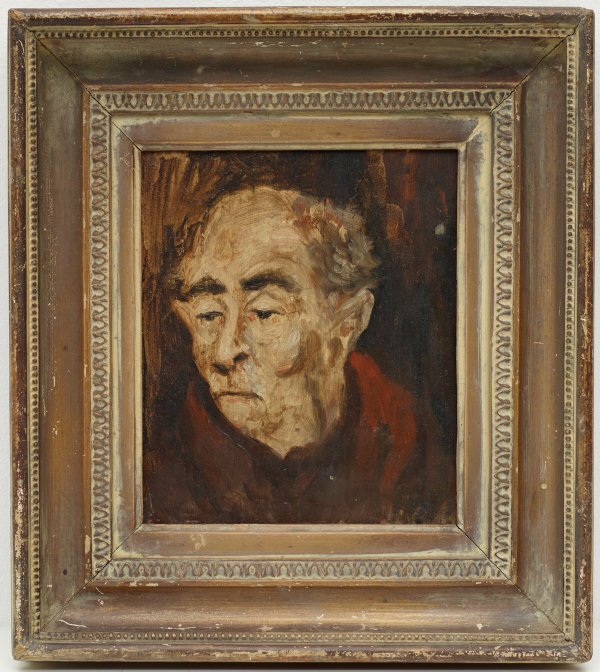 This small study of one of the itinerant men at the refuge evidences Whiteley’s early struggle with the vagaries of oil paint, seen in the pulling and reworking of the viscous medium. It is an important example of the artist’s developing career, showing his keen interest the figurative works of Russell Drysdale and William Dobell, as well as the Swiss-born artist Sali Herman, whose urban street scenes he had studied at the AGNSW.